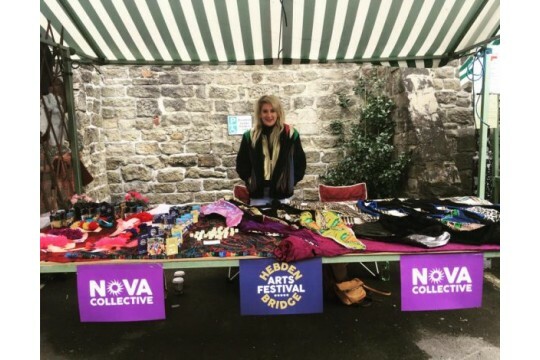 The Nova Collective, supported by the Hebden Bridge Arts Festival, is a new initiative to help and promote young artistic talent in our town many of whom are struggling to translate their skills and qualifications into paid employment. Activity so far has included: -	regular monthly meetings where the group and new members come together to share advice and plan activity -	A market stall and cabinet space for young makers and entrepreneurs -	An online advice/opportunity sharing forum with 140 members -	Future plans include regular scratch nights to showcase their skills to potential partners and producers and a mentoring programme. The Collective is open and inclusive and bursting with good ideas and they need £500 to run the Collective for the next six months allowing the group to become established in offering a network that help young people in the valley reach their full potential.